There are many uses for dehumidifiers. There are basically two types desiccants or refrigerants. Thesе essentially remove the humidity in your home as it cаn get very uncomfortable if the humidity is too high. When the humidity is too high it cаn sometimes be hard for certain individuals to get to sleep. Here are some ways to control humidity in your home with one of these units. If you suffer from allergies a dehumidifier might make it easier for you to breathe in the home. This will work well if you have an allergy to mold. The unit will work to remove moisture from the home so mold and mildew will not be able to grow. Mold tends to grow in a home when the humidity inside the home gets to high. More fungi will grow as it gets hotter and more humid in the home. Studies have shown that higher humidity will increase the amount of mold in your home. You want to control mold growth if you have an allergy to it and these units will control the moisture which in turn will control the mold. Other things this type of unit can do include removing other allergens such as dust mites and other mold in your home. This would be accomplished with a good filter system on the dehumidifier. This is also why it is a good idea to keep the filters clean. You’ll breathe easier with one of these units in your home. If you suffer form asthma you can also get some relief. Higher humidity in your home can trigger an asthma attack. A dehumidifier can reduce the levels of humidity and thus bring down attacks of asthma. Mold and other factors in the home also contribute to asthma attacks. Dehumidifiers can be used to remove excess moisture in your home from small leaks in pipes for example or other water intrusion issues. This excess water can cause the humidity levels in the home to rise. You may have a small leak somewhere but not even know it. You might have windows that are letting water accumulate because they aren’t sealed properly. Dehumidifiers can help to remove some of this water from your home. 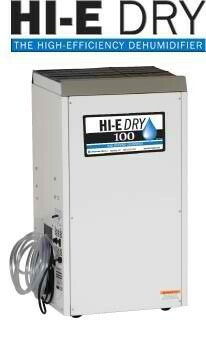 If you live by water there may also be humidity in your home and this unit can reduce it. Mildew, mold, and a musty smell are indications that you have water issues in your home. Dehumidifiers may also be used in manufacturing facilities, painting or repair shops, food processing, oil field industry, sugar manufacturing and transportation, chocolate and candy production, libraries, museums, and many other places. However, without choosing the proper unit you will not be happy with the results. So make sure to buy from a reputable dealer who can assist with your purchase. This article was published on Tuesday 13 November, 2012.